Ok, so we know what it is but why is it important? You’ve got a lot to do—how is this going to make you more money? The cost of customer acquisition is one of the MOST important metrics for any ecommerce store, along with the lifetime value of a customer. Why? Because your store needs to make money. Which means you need to get a return on investment (ROI) from your marketing and sales campaigns. It's as simple as this: your business will fail if your CAC is higher than your LTV. Let’s go through a few scenarios to assess what you should be aiming for with regards to the LTV:CAC ratio. As well as the above, you need CAC to assess how your marketing campaigns are performing. The goal is to find the marketing channels that have both a high LTV:CAC ratio and are scalable. There is no use only focusing all your time on channels that send only a very small amount of customers. Find the right balance between time/effort, LTV:CAC and quantity of customers acquired. 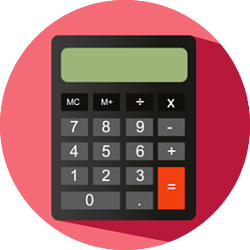 1) Working out your LTV:CAC ratio and the months required to recover your CAC helps you analyse the overall health of your business. Figuring out the months required to recover CoCA is very useful to determine how strong your business model is. It’s no good if it will take three years to recover your initial investment because you need to reinvest that money. A great target to aim for is anything under 12 months. 2) CAC helps you optimise your marketing campaigns and channels - Where are you acquiring your best customers from? What channels and campaigns have the best LTV:CAC ratio? Remember that customer acquisition cost for different campaigns are not constant. They change all the time and you must be vigilant of this - when you stop getting an ROI then stop the investment. There are two methods for working out cost of customer acquisition: a simple (but less accurate) way and a more complex way that involves many other variables. Ultimately, there is only one way that is correct, which is the complex way. However, doing things the simple way is more useful than not doing them at all in order to get an idea of how different channels are performing in relation to each other. Be wary of using it when going over your LTV:CAC, as it misses out a lot of key costs. In the above when I refer to marketing campaign costs, I’m talking about the direct costs associated with running a banner ad based on the quantity of impressions or the total cost per click of adwords campaigns. O = Other overheads related to marketing and sales. I mention 'sales' above which, typically, tend not to be associated with ecommerce. But some companies may have a sales team to explore and close wholesale opportunities. You can see how the above equation takes into account all costs associated with acquiring a customer in a particular period. If you want to analyse the cost of acquisition on a campaign or channel basis, then you’re going to have to start attributing things such as the proportion of time spent on particular campaigns or channels in order to work out the corresponding wages. And what about problems with attribution, you say? There can be numerous campaigns and channels involved before someone makes a purchase. For example, someone may first visit through a Facebook ad campaign, doesn’t purchase, and then returns through a retargeting campaign and purchases. How do you attribute the campaign costs associated with the acquisition? To calculate this, just split each campaign into the costs that went towards attracting and converting returning customers and the cost involved in attracting and converting new customers. You then have the total cost associated with acquisition from that campaign. To work out total channel cost just add together the total campaigns associated with that channel. It is actually very useful to analyse what channels and campaigns are good at attracting or converting customers. This can all easily get a bit messy. However if you are spending a significant amount of money on these channels I would highly recommend taking the time to try and work this out. You may find out that a channel you thought was very profitable actually isn’t at all, or vice versa. Good luck with calculating your costs of acquisition! I hope you enjoyed the post and feel free to reach out to me in the comments section below. If you're looking for more great content there’s loads of great content for ecommerce marketers on our academy area.